The Bagas are composed of 7 groups, which speak different dialects: Baga Sitemou (or Sitemu), Baga Mandori, Baga Kaloum, Baga Koba, Baga Fore, Baga de Monchon, Baga Mboteni. They fled Islam when the people of the Mali Empire brought it, and they also rejected Islam very early when the Fulbe brought it. They live by rice farming and fishing. They live in rather obvious societal groups. They are open to strangers. They respect the traditions as well as the Muslim and Catholic religions. The women do their work separate from the men, except in a few villages. The women prepare all the food while the men sit down after their day's work. The food is served in three different bowls, one for the men, one for the women, and one for the children. The men share their common bowl, and the women also share a common bowl. After eating, the women gather their leftovers and those of their husbands for the children. At night the women have their meeting to consult the spirits in behalf of the village. They want to learn whether the spirits who are watching or entering the village are evil. If a spirit is present, it will cause a woman to fall to the ground in a trance. Frequently the women look for spirits who will protect their whole village. Under the light of the moon, with the light filtering through the palms, the bride-to-be is carried in a hammock from her parents' house. Four men carry her above their heads, as she makes a tour of the village. Dancing to her husband's house, the villagers put her down at her new home. Islam and Catholicism are both mixed with their traditions. 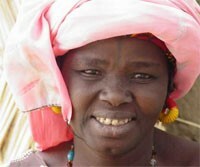 Bagas also believe in spirits and in marabouts, Muslim holy men who can make charms to ward off evil spirits. When they have a problem, they first consult the geni and the jinn (spirits), which demand a blood sacrifice. This blood sacrifice is usually a white or red chicken, or a sheep. If no rain comes, they also consult the geni, and each family contributes money in order to buy a cow, which they will kill and give to the wise men. These men will eat this meat alone under the permission of invisible genis in the forest, under a large tree. Usually the requests stir the spirits, but their response is not long-lived. So it is often necessary to renew the sacrifice. One of the largest idols of the region is Nimba, a Baga idol of fertility. Usually painted black, this idol stands on four legs, with the head of a ferocious animal, and large human-like breasts. 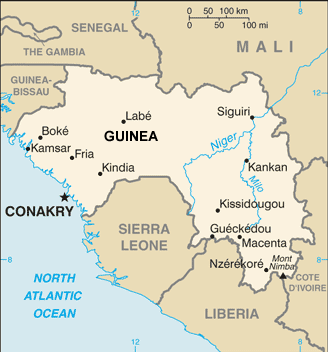 This figure has been used often to represent Guinea, and one can find them pictured on the money of the country. View Baga Sitemu, Tchitem in all countries. 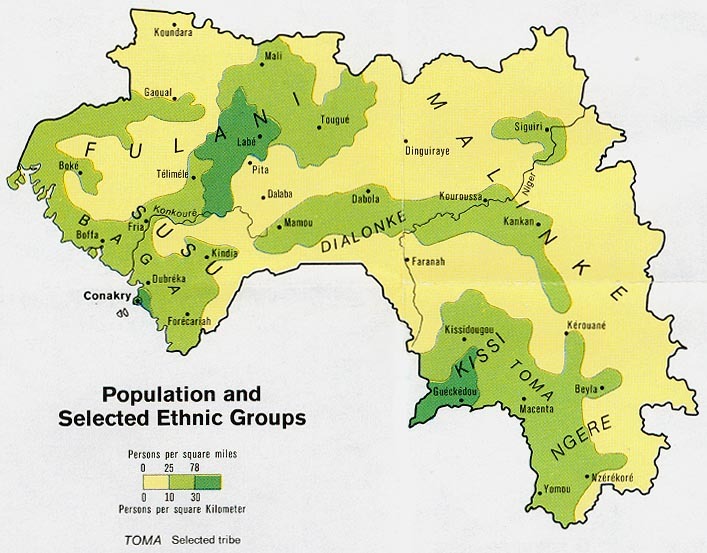 Location in Country: Boké region: Port-Kamsar subprefecture, Nunez river south bank; Boffa prefecture, Tougnifil subprefecture.